After the discovery of the harmful health effects tobacco products can have on the body, the method of selling and promoting tobacco has sparked many debates. Those in opposition to the advertising of tobacco question how companies can legally advertise their products that have been proven to cause damage to the body. In addition, children, who may not understand the grave danger these products can cause, could potentially view these advertisements and be persuaded to use tobacco products. In order to regulate the advertising of tobacco, Congress began censoring the advertising of cigarettes by banning promotions on television and radio in 1969. The censoring of advertisements continued in 1989 when Congress prohibited advertising directly to children. However, Congress did not stop there. New regulations have been released that further force the censorship of marketing tobacco products. While some agree to the censorship laws imposed on tobacco advertising, others posit that these regulations encroach on the company’s freedom of speech. Their main argument states that although it is commercial speech, it is still the company’s freedom of speech. Two large tobacco companies have already filed suit against the new laws on grounds of the First Amendment. Those in opposition see this as limiting the company’s freedom of expression by controlling what content they can release, and where. They also see it as the government not trusting individuals to make smart, informed decisions on their own. 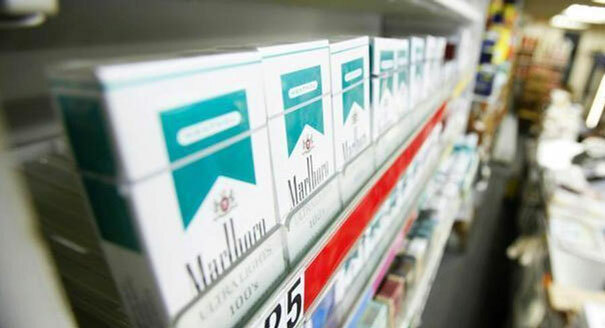 The U.S. Food and Drug Administration (FDA) issued a broad set of censorship rules that affected the advertising and promotion of tobacco as well a set of new requirements relating to sales distribution of the product. On June 22, 2010, the chosen rules were implemented into the law. There are three primary requirements relating to the selling and advertising of tobacco. First, the rule banned tobacco brand names from sponsoring any athletic, musical, social or cultural event. The brand is also restricted from sponsoring a specific athlete or team at such events. Second, any audio advertisements were also required to use only words with no music or sound effects playing in the background. Lastly, the rule prohibits the selling of any items such as hats and tee shirts sporting tobacco brands or logos. Since the initial rule was issued by the FDA, another requirement was passed. Outdoor advertising on platforms such as billboards is also prohibited. Rules are continuously being presented to the court, attempting to create even more restrictions for tobacco advertising. Most recently, a rule was presented that would limit tobacco advertisements to using only black text with no graphics at all. This rule was denied. Tobacco sales have decreased significantly within the past 3 years. Do you think this is a result of the censorship laws the FDA imposed on the advertising of tobacco?